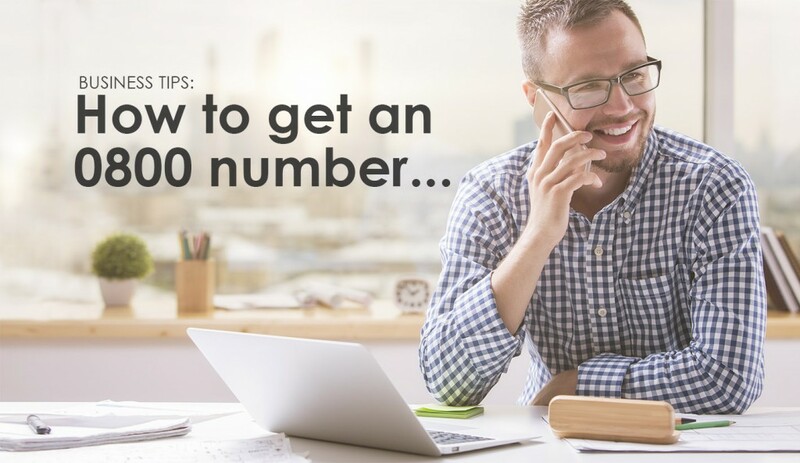 0800 numbers are the go-to freephone numbers for businesses trying to increase enquiries, improve sales and give customers a free number to call. They are a great way to give businesses a national presence as well as looking established, large scale and trustworthy. Just go onto www.tamartelecom.co.uk/0800 and choose the perfect 0800 number for your business. From there you can select your tariff, choose where you want your 0800 number diverted to and you’ll be set up within one working hour. Easy. Your number can be diverted to as many landlines and mobiles as you need. There are several options when choosing your 0800 number. For example, you can choose a more memorable number. These numbers require a 1-time payment but getting a memorable number for your business has obvious benefits. You also have several tariffs to choose from starting from £4.99 up to £19.99 per month +VAT. Line up which tariff suits your business and proceed with peace of mind knowing your new 0800 number is on a 1-month rolling contract. No hidden costs. Now you know how to get an 0800 number for your business, it’s time to tailor that number to suit your needs. With over 10 free features included you can pick and choose as many or as few as you want to take your business communications to the next level. For example, Voicemail is included free. You can record a branded message so when you miss a call, you never have to miss an opportunity. Also included are Hunt Groups, allowing you to divert to multiple phones and have them ring all at once or one after the other until someone answers. The Call Statistics feature allows you to track your calls. See how many calls you are getting, your busiest times of day and where your calls are coming from. No more wasted spend on advertising that doesn’t work for you, track the number and see for yourself whether it’s worth re-advertising or investing elsewhere. Other features include Welcome Announcements, Blacklists, Timed Call Diverts, Holiday Settings and more. All controlled with an online control panel or app, giving you full flexibility 24/7. When setting up an 0800 number, you may want to consider adding a Virtual Switchboard. This gives you the option to add a menu to your calls, e.g. “For sales, press 1. For accounts, press 2.” Etc. Each option on your customised menu can divert to a different phone or even the same phone. With the Call Whisper feature it’s easy to know which menu option has been pressed as you will hear a short message of your choosing before you take the call. Find out more about Virtual Switchboards here.